It’s been about three and a half years since we got a house with a garden. With much help and advice, I’m starting to understand some fundamentals about gardening. When we arrived the previous owner had a whole bunch of toxic things in the shed: de-mossers, some pesticides and other weed-killers. I was alarmed at this – my father and forefathers always farmed and gardened without these toxic chemicals. Dad has experimented with salt on the slugs and more than a couple tragi-comic stories involving live traps and relocating squirrels. But no poisons, no toxins. And fantastic harvests. One tip is to plant garlic and onions near fruit trees. 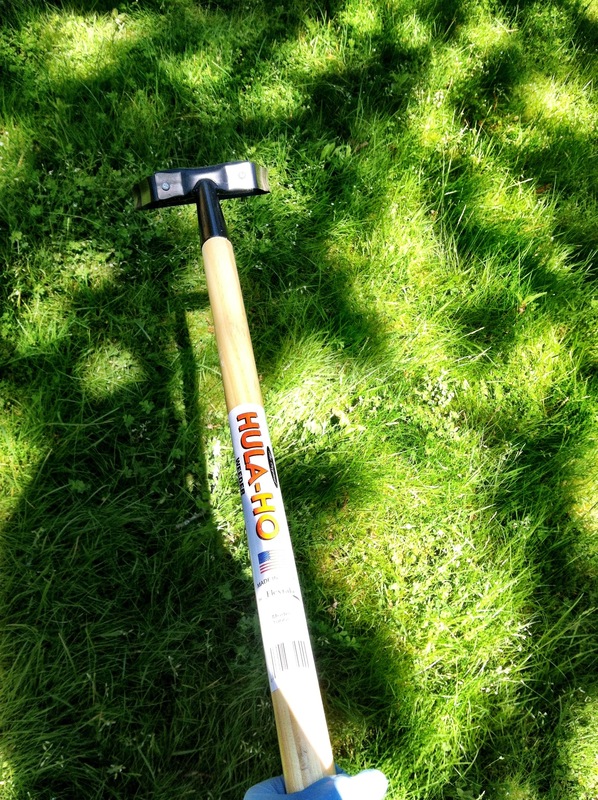 Another principle I’ve garnered from dad is, “get a good hoe”. Dad gave me one last week. This is a killer hoe for shallow weeds. 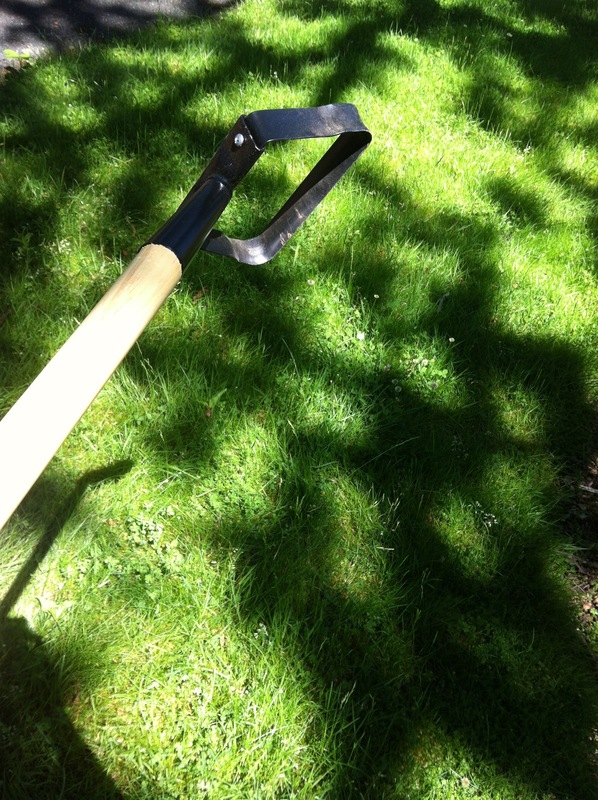 It’s also called a Dutch hoe or Stirrup Hoe it cuts both ways. Why dump poisons into the soil to kill weeds when you can uproot them with a few flicks of the wrist? I can’t wait to show you my Fiskars dandelion puller!! This entry was posted in Arran Stephens, Gardening and tagged gardening, Hula Hoe, organic gardening, weeding on June 24, 2013 by Gurdeep Stephens.